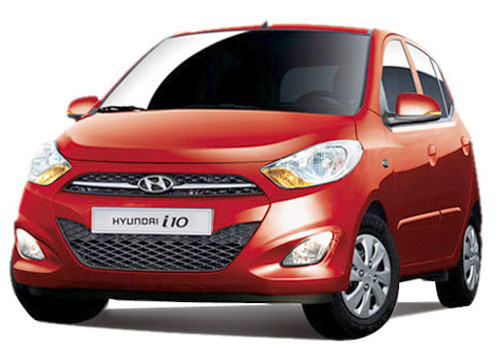 Hyundai i10 Magna has turned out to be an ideal family car for me. I have a family of our and trust me, this hatchback has seen out best moments with each other. It has been around 4 months that I have bought this car home. There are so many things on Hyundai i10 Magna that I just love, but at the same time there are little features in which it is lagging behind. Most importantly, the car price was just perfect for me. It was reasonable, affordable and truly easy on my pocket. My Hyundai i10 Magna has a robust engine installed in it, which delivers a very smooth and powerful performance on road. The five speed manual transmission coupled with the engine gives out a good mileage of 17.9kmpl. I have a good run up every day, therefore, this mileage have helped keeping things certainly easy on my pocket. The interiors are also one of the major highpoints of Hyundai i10 Magna. My hatchback is well-equipped with numerous comfort features, which make sure that my family is comfy and relaxed during the ride in the car. The air cooling system is extremely efficient and cools the car in the matter of few seconds. The power steering is smooth and trouble free and the front and rear power windows are quite convenient. The central locking system is present along with remote fuel lid opener. All these features make my Hyundai i10 Magna utterly comfortable and ideal. However, the car does miss out on Anti lock braking system, airbags, alloy wheels, CD player, but these can be excused as the car is priced very reasonably. Hyundai i10 Magna is facelift version. it is best of selling hatchback in the country.